What is innovation? How is innovation used in business? How can we use it to succeed? Innovation, the ways ideas are made valuable, plays an essential role in economic and social development, and is an increasingly topical issue. Over the last 150 years our world has hit an accelerated rate of transformation. From aeroplanes to television and penicillin, and from radios to frozen food and digital money, the fruits of innovation surround us. 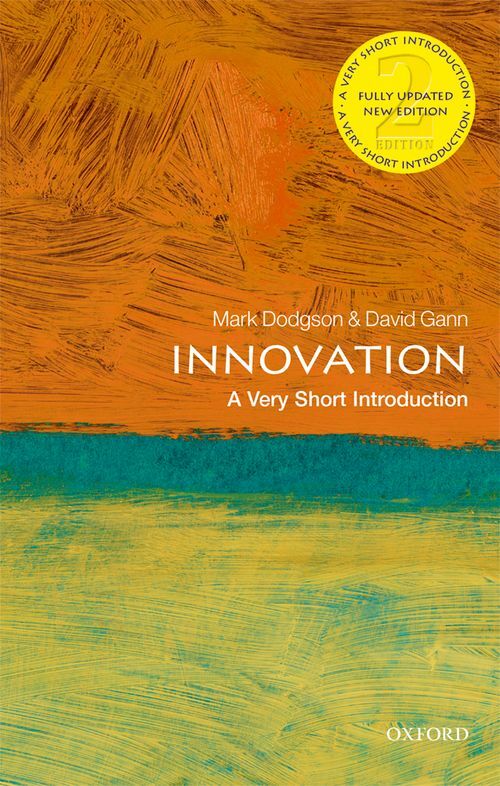 This Very Short Introduction looks at what innovation is and why it affects us so profoundly. It examines how it occurs, who stimulates it, how it is pursued, and what its outcomes are, both positive and negative. Considering innovation today, and discussing future disruptive technologies such as AI, which have important implications for work and employment, Mark Dodgson and David Gann consider the extent to which our understanding of innovation has developed over the past century and how it might be used to interpret the global economy. Mark Dodgson's research interests are in the areas of corporate strategies and govenment policies for technology and innovation. He has authored over 50 articles and book chapters, as well as written seven books. Mark is currently Professor of Innovation Studies at the University of Queensland. David Gann, CBE, is Professor and Vice-President (Innovation) at Imperial College London, and is responsible for a large portfolio of research in collaboration with firms in design, manufacturing, engineering, and construction. Together they edited The Oxford Handbook of Innovation Management, (OUP, 2014), with Nelson Phillips. "This is one of the most thoughtful, succinct and useful introductions to innovation I have read." - David Willetts, formerly UK Minister for Universities and Science, author of A University Education.